A small Russian startup called Sweaterrarium has filled the gap by producing a remarkably faithful reproduction of the Fargo promo image in sweater form. The company tweeted photos of its handiwork to series star Colin Hanks, who approves. If you’d like a sweater of your own, well, it’s hard to tell how you can acquire one, as the order links on the Sweaterrarium site go to a defunct crowdfunding page. 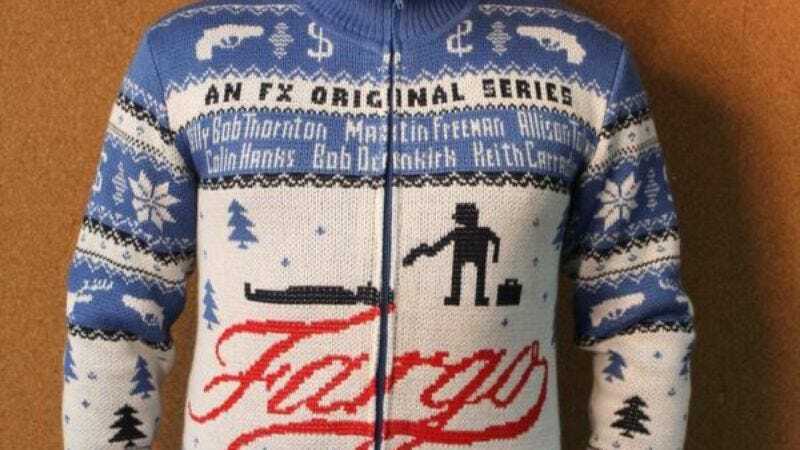 That’s probably okay; you don’t really need a Fargo sweater anyway. But you might need a thickly accented Russian guy explaining knitting techniques, and on that front, Sweaterrarium has you covered.